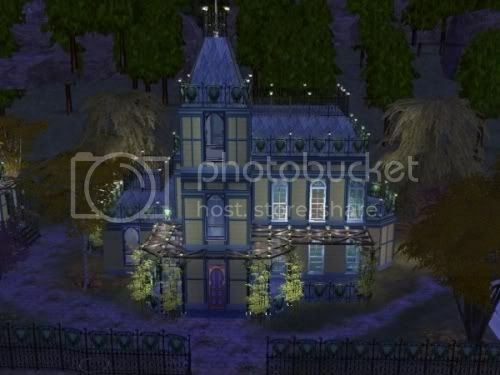 Halloween is not complete without a haunted Victorian. Widbode comes fully furnished, with 3 bedrooms, 2 baths, formal dining area, formal living area and a perfectly unkept yard. All this can be yours on a 3x5 lot for under $185,000. No Expansion Packs required. As always, I hope you and your Sims enjoy! This house was checked with the Clean Installer prior to upload. Note: You may use my homecrafter items in homes you build for upload, but please do not upload my houses to any website for any reason, Thanks!